Web accessibility indicates websites, tools, and technologies are designed and developed in a way that people with disabilities can use them. The most recent guidelines for web accessibility are specified in Web Content Accessibility Guidelines (WCAG) 2.0. 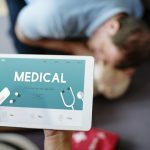 US federal government had set a conformance deadline to WCAG as January 1, 2018. 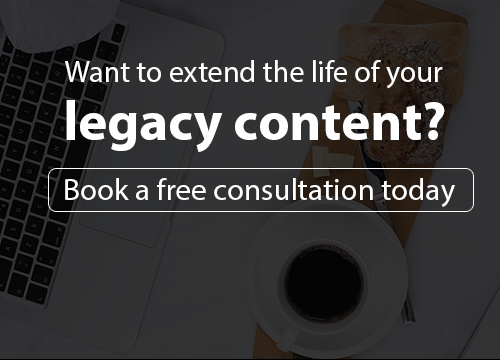 Accessible content is now no longer optional; it is a must-have. Making content accessible usually requires taking care of some basic guidelines related to the navigation mechanism, and fixing some issues in the underlying code (which commonly don’t even count as issues on the regular visual screens). The basics of accessibility are fairly easy to implement. But if you are new to accessibility, it might take some time and effort to learn about them. Most mistakes related to implementing the accessibility guidelines have to do with a failure to understand what constitutes accessible content. 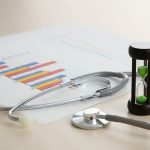 Based on our experience of developing multiple WCAG 2.0 compliant projects, here is a list of the most common issues that could make your content non-accessible, and a checklist to help you avoid them. · Provide sufficient color contrast. Color contrast can be checked with help of free tools like Webaim-color contrast checker. · The visual presentation of text and images of text has a contrast ratio of at least 4.5:1. · Ensure that information conveyed by color differences is also available in text. · Make each page navigable by keyboard alone. · Add “skip to content” links to allow a user to jump directly to main content rather than navigating through all the controls. · Avoid complex interactivity design by chunking complex modules into simpler and smaller activities with required user instructions. · Provide keyboard operation for all the functionality of the page. 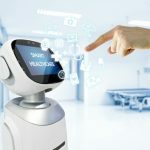 When all functionality of content can be operated through a keyboard or keyboard interface, it can be operated by those with no vision as well as by those who use alternate keyboards or input devices. · Use heading tags (H1, H2,…), table headings and lists (UL, LI). · Add a meaningful page title. · Ensure that content can be scaled uniformly by using a web technology (the browser’s zoom functionality for instance). At the same time ensure that, the zoom function preserves all spatial relationships on the page and that all functionality continues to be available. · Allow pausing of animations. · User indication should be given when the focus is changing to the new window. · Keep navigation consistent across all pages. · Add alt text to images which describe the image. For example, an image showing a United States map with its population should have alt text as “Map of the United States showing population density in various states” instead of “an image” or “US Map” as alt text. · Add labels to form elements like buttons, links etc. · Use CSS for visual presentation of text. CSS benefits accessibility primarily by separating the document structure from presentation. By separating style from markup, developers can simplify and clean up the markup in their content, making it accessible at the same time. 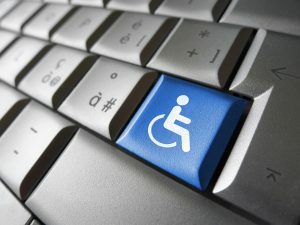 Most organizations across the United States are now legally required to meet accessibility standards. But even if your organization doesn’t fall into that category, it’s still a good idea to make your digital content accessible, because it makes good business sense. It can help improve user experience and hence make your web content more effective. If you are interested to know more about accessibility or if you have more points that can be added to the list above, feel free to write to us at info@harbingerlearning.com. One of the core values that we have at Harbinger is working with our customers as a partner rather than a vendor. All our actions and attributes are directed towards this value and we as a team constantly try and practice them. Well, you can question, that since at the end of the day everyone is executing projects for their customers and in return is getting compensated for a mutually agreed amount, then how can one differentiate between a vendor and a partner? Well, I will not try to answer this question right away, but instead highlight some values that we as a team bring on the table for our customers. That would definitely bring out the key aspects of being a partner. Agility: It is the ability to quickly adapt to specific needs which can help fulfil mission critical objectives for our customers. For instance, agility is displayed in our ability to ramp-up the team size on a short notice to meet a specific go-to-market plan, or our willingness to quickly learn a new technology to give a differentiated solution to a customer. Accountability: We believe in being accountable throughout, and showing it consistently. For example, if a deliverable has been promised on a certain date, then take the responsibility delivering it on time. Not only do we understand the specifications of a particular project, but we also try to understand the business impact it can have and we hold ourselves accountable to ensure that all desired goals are met. Transparency: This is a key factor in developing effective relationships as partners. We give a complete and transparent view of various activities to the stakeholders and have constant and open communication to mitigate risks well ahead of time. Quality: A customer generally finds it annoying to invest time in testing, finding bugs and then sending the final product back for fixes. To avoid this, our dedicated quality assurance team ensures that every deliverable that goes out of the window is tested for the quality standards and there is nothing left for chance. These values make us what we are and we are proud of them. 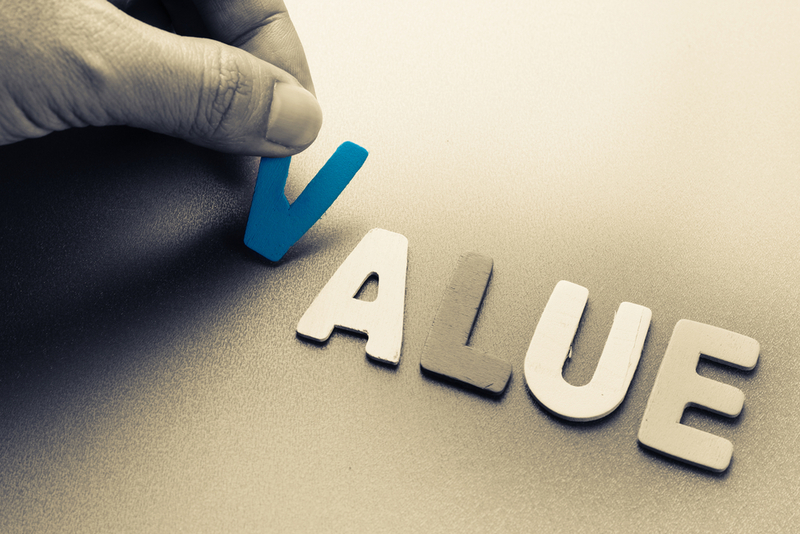 It will be wonderful to hear your thoughts and experiences on the values and attributes through which you have been able to differentiate your suppliers as partners. Share your comments below or write to us at info@harbingerlearning.com with your thoughts. If you are connected to eLearning in any way, you probably have heard a lot about micro-learning. There is a lot being discussed in conferences, blogs, online forums and webinars on how to create effective micro-learning to meet millennials’ learning requirements. When talking about micro-learning, most of us often think of videos, podcasts or simple text and image slide shows. How about creating an interactive micro-learning module? Well, it may sound like a huge task to infuse interactivity into a micro-learning burst. But it’s not as difficult and time-consuming as it sounds. I recently created an interactive mini-module and would like to share the experience with you. One of my colleagues, Sonia, had written an interesting blog on “Why Stories Matter” to make learning more impactful and engaging. 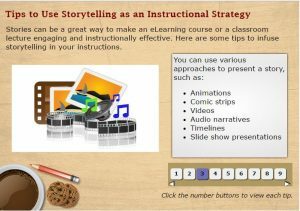 It inspired me to create a mini-module on how storytelling can be used as an effective instructional strategy. 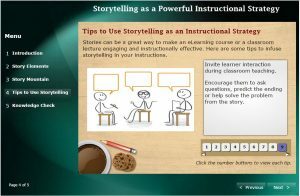 The objective of this module is to help an instructional designer/trainer/educator to get started with using storytelling in their instructions. To keep the module simple and brief, I planned to include an introduction to storytelling, a brief on how to create stories and some tips for effective storytelling. After creating and chunking the content based on the learning objective, I turned to Raptivity, a rapid interactivity building tool, for the actual development of the module. I chose five interaction templates from Raptivity that suited the content. Then, I gathered the relevant images for each interaction and started customizing the interactions in Raptivity. 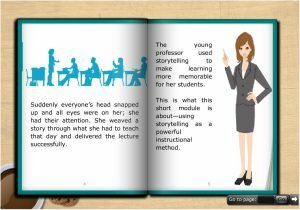 For introduction, I chose the eBook/flip book template and started with a short story to grab attention and then went on to explain what storytelling is. I created the second interaction using flash/flip cards template. It explained essential elements of the story, since learners could view the element names and relevant images on front side of the cards and their description on the flip side. 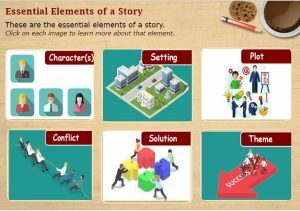 After knowing the story elements, the next step is to create a story comprising of those elements. 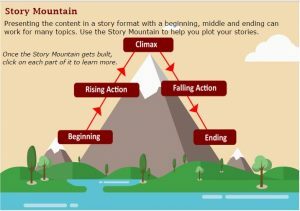 The story mountain helps you plot stories in a proper format. I presented the story mountain in the third interaction using a build-up animation template. Learners can click on each part of the mountain to learn more about it. In the next interaction, I included some tips to create stories and use storytelling effectively. Here, I chose a lesson template, where tips appear with relevant images as an animation. Learners can revisit any tip by clicking on the number buttons. Lastly, I wanted to include some knowledge check for learners to reinforce their learning. 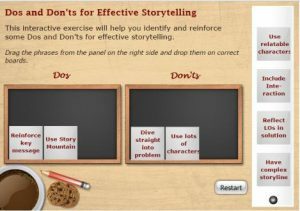 I chose a drag and drop template, where some dos and don’ts for effective storytelling are listed and learners need to classify them correctly. Learners get immediate feedback on dropping a phrase under a wrong category. Once the text and images were ready, it took me a couple of hours to develop each interaction. To put these interactions together as a module, I used the Raptivity Linker tool. Stringing these interactions together was just a matter of minutes and my mini-module on Storytelling was ready! You can go through this mini-module here. Decide on the learning objective and create a topic outline. Create and chunk the text into small information bursts. Choose interaction templates that best suit the text chunks. Gather/create relevant media assets according to chosen templates. Customize interaction templates using the text and media assets. String the interactions together. Alternatively, these interactions can also be used as standalone learning nuggets. 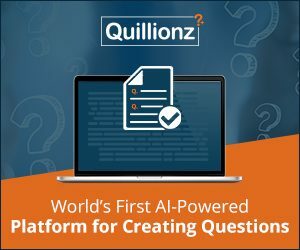 This approach could be a good way to quickly create micro-learning that offers streamlined, short bits of information along with interactivity and engagement. Have you created micro-learning? What approach did you follow and how easy or difficult it was to create it? Share your thoughts and experiences in the comments below. I was at the eACH Conference last month and a common problem I heard from many eLearning companies was that of a ‘limited team capacity’. These teams or L&D departments aimed to serve thousands of their internal customers but they had to develop many courses in a short time. I realized we have all faced this ‘limited team capacity’ problem at some point or the other. Based on my experience of eLearning domain in the last 7 years, here are three ways I have seen our customers address this problem. It has helped them maximize their internal team capacity and at the same time deliver courses based on the business demand. You don’t always have to build your eLearning course from scratch. You can create a library of templates that can be reused and customized. This will standardize the quality of eLearning content and also save time and effort. However, building your own template library would take time. If you need something quickly, there are many paid or free templates available online. Rapid eLearning is the production process of creating e-learning courses quickly and effectively. It usually doesn’t involve using complicated software or programming techniques. Rapid eLearning is a tool- based approach that can be used by an Instructional Design team. This approach helps lower the development cost and allows you to put together a course quickly. 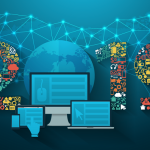 Articulate Storyline, Adobe Captivate, GoMoLearning, and Raptivity are a few popular rapid eLearning development tools available in the market. Sometimes it’s sensible to partner with an expert company that can act as the extension of your in-house team. 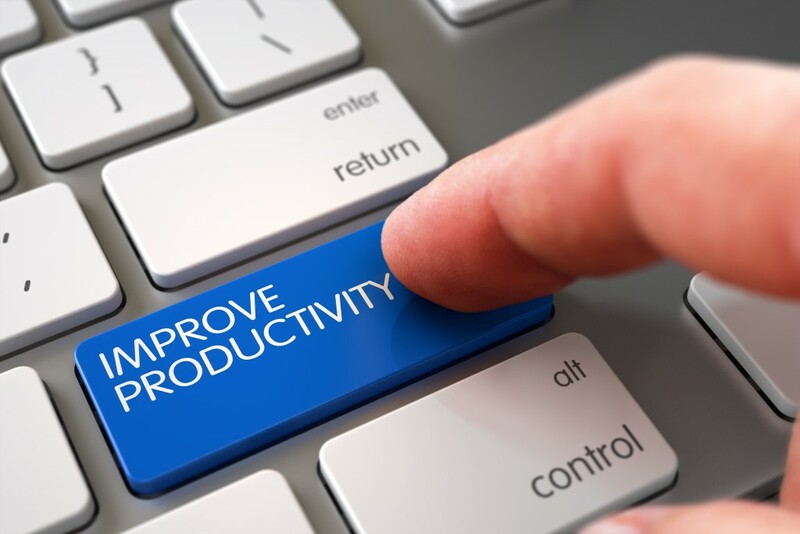 The development tasks are handled by the partner, allowing your internal team to focus on the core tasks like communicating with SMEs, gathering the training content, etc. Choosing a partner that is a one-stop-shop for all eLearning needs is a plus. The partner company should support various tools and technologies and should not be limited to any specific technology. Ask for references and work samples in advance that demonstrate the quality and variety of work they can produce. The right partner can complement your team and give you a cost-effective option. How did you handle your “limited team capacity” problem? Do share your thoughts through comments below. Harbinger Interactive Learning is a learning technology company. We offer cost effective learning solutions with resources across different technologies and skillsets. We offer course development services in Custom Flash/HTML5, Lectora, Storyline, Captivate etc. A partnership with Harbinger can help customers build high quality eLearning/mLearning courses cost effectively and stretch their development capabilities further.